"Every year Berkeleyside puts together a list of the best books the editors have read. We generally ask local authors and literary-minded folk to contribute their picks. "Angie Chau is the author of Quiet As They Come, which was a finalist in First Fiction for The California Book Award and a finalist in Fiction for the Northern California Independent Booksellers' Award." "If I were asked at gunpoint to choose only one book that I believed best represents the very heart and soul of Asian-American literature, I would answer, without hesitation, Quiet As They Come. The book is a prism between very complex and well-written characters and Chau sculpts them so well that within one reading I'll love and then resent them and then love them again." "This year's writer-in-residence Angie Chau plans to encourage interaction among those who attend her one-day workshop on July 11 at Cal State Bakersfield. 'I hope that the workshop will serve as a spark to ignite their creative juices and that it will be just the start for them,' Chau said. 'Every single one of us has a story to tell.'" Participants must sign up in advance. Please click here to apply for this workshop. "The immigrant experience is a rich and deep well to draw from, and Angie Chau taps into it for her remarkable collection of short stories, Quiet As They Come, about growing up in San Francisco in a Vietnamese-American immigrant family. 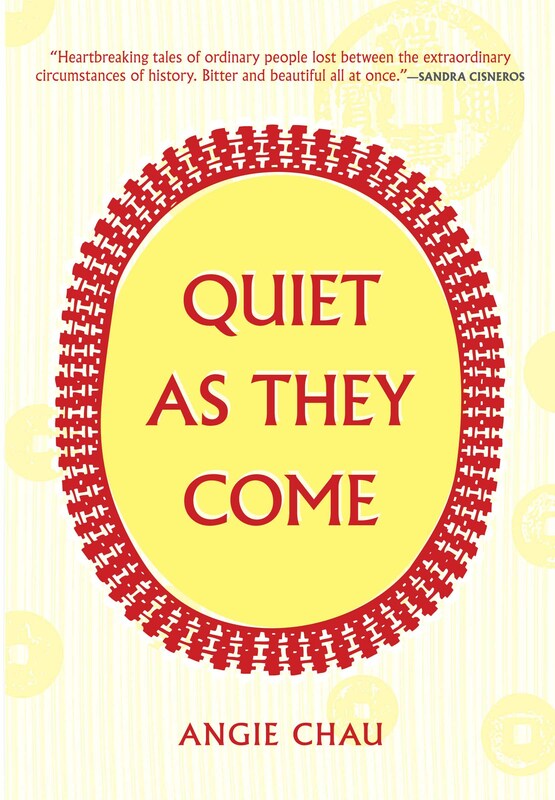 Recently, in recognition of its importance, Quiet As They Come was chosen as a text by several university English and creative writing programs." "How does one find happiness, balance, harmony, and live life gracefully? I think it's a question that every individual struggles with regardless of country or creed. Maybe this question comes to the forefront in immigrant stories because the differences in cultural norms and tastes can be so striking when a person is uprooted from one country and put into another. It sets up tensions that are accessible for good storytelling if done right. " "5 Questions for Writer Angie Chau"
Angie Chau gives her thoughts on pussycats, refugees, ridiculous lines, the writing process, and her upcoming novel. "And finally, underground in the Cu Chi Tunnels, on my hands and knees to do research for the new novel. It is humid and shadowy and everyone is gasping so loudly for air an echo pulsates in the tight red clay chamber. All I can think is how in the world did these men and women have the conviction to live without seeing sunlight for months on end while being shelled, gassed, and bombed in the most devastated area in the history of warfare? I think about the act of writing and trying to unearth lives lived beneath the surface. I think about the sweat and perseverance, the grasping for direction in the dark, the faith required. While I am 15 feet underground, I realize it is about pushing on even when it feels impossible, a good metaphor for life and the writerÂ’s path, one that usually means taking the road less traveled of course, and yet somehow well worth the long arduous bushwhack of a journey." "Stevenson students participated in a presentation, author reading, and a private writing session with Angie Chau, author of the critically praised short story collection Quiet As They Come. Chau's writing, and the insight shared during her visit, resonated deeply with students, many of whom can connect to the challenge of acclimating to a new culture." Angie Chau gives a talk about her background and the ten year journey that went into writing Quiet As They Come, reads from the book, and takes questions from the audience. Minh Carrico interviews Angie Chau about her creative process and other topics. Listen to Angie Chau's radio interview with Edmonds Community College. Topics discussed include her recent trip back to Vietnam and revelations about her new novel. "She's a new and compelling voice. It's hard to pull away once the Vietnamese bug catches you. Vietnam is a deeply fascinating place and culture. It has a rich and complicated past, a messy, energetic, present, and a hope fueled future. In between, there is the Vietnamese diaspora. That is what Angie Chau writes about - the Vietnamese-American immigrant experience." 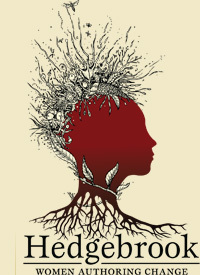 "Hunger" translated into Swedish on the e*book site for MIX FÖRLAG. Quiet As They Come has been added to the syllabus for the course "Asian-American Literature" at Chabot College in California. Click here to see syllabus. "Angie Chau makes her Vietnamese characters come alive in all eleven brilliant stories. Every Vietnam veteran should read this beautiful and brutal collection of stories about the struggles of Vietnamese in America." The book has been or will be adopted for classroom curriculum at universities and high schools including UCLA, Loyola University, University of the Pacific, California College of the Arts, San Francisco City College, Drew School, Stevenson School, and Excel High School amongst others. "In the media, the people I saw [depicting the Vietnamese] were girls dancing on poles and people getting tortured in Rambo," says Chau. "I didn't see the kinds of people I knew in the media. So I started writing this book." Prepare to be moved, surprised, and inspired as host Janet Gallin helps guests from all walks of life express themselves in letters that support, thank, or set things straight. "Her book Quiet As They Come, although fiction, is a tribute to her transformation and the people who guided her life." 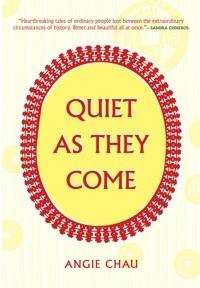 Quiet As They Come is nominated as a Finalist in First Fiction for The Commonwealth Club Book of the Year Award! Quiet As They Come is nominated as a Finalist in Fiction for the Northern California Independent Booksellers Association Book of the Year Award! "Quiet As They Come is vaguely reminiscent of Hemingway's In Our Time (1925): each book involves a collection of reoccurring characters, many of whom are traumatized by a war whose temporal and spatial proximity is often ambiguous." "Her stories can be touching, funny or deeply sad. Often, they are all three at once." "Chau is a writer of frightening skill. Her understated stories pull at the heart, yet remain unsentimental." "I felt she was telling a story of how 'we' live now, and for the first time, I felt that the 'we' included me." "In her debut book, a short story collection called Quiet As They Come, Angie Chau chronicles an extended Vietnamese refugee family as they navigate the San Francisco Bay Area, loss in it many forms, and that volcanic desire that bubbles up and explodes from us. In short, she writes about the human heart and how fragile it can be." "In literature, we've been waiting for a parallel phenomenon: the moment when scores of talented young writers shrug off the mantle of ethnicity for ethnicity's sake and exercise their right to explode expectations of Asian Americans on the page." "In the 50th in a series of posts on 2010 short story collections entered for The Story Prize, Angie Chau, author of Quiet as They Come, runs through the writing process for one of her stories." "Chau, who took a decade to complete this collection, has an unflinching ability to render horrific memories (death-defying boat escapes, years of prison torture), then effortlessly capture the careless energy of two giggling teenage cousins trying to flirt their way into a free cup of coffee at the local cafe. Her stories are a powerful mix of tragedy and kindness, of miscommunications and all-too-painful empathy, which bound together are a resonating homage to many an immigrant." "I think I made a decision at some point in graduate school that you're not writing to make money. You're writing because you have to. For me, it's my meditation. I would do it regardless. I knew that I would be an old lady and still want to write stories." "In addition to clever storytelling and believable characters, Chau has the ability to fill in her fiction's backgrounds with wonderful, pithy, pawky observations of things we all could see but usually don't. I believe it was Henry James who said a good writer is someone 'on whom nothing is lost.' That certainly describes Chau." "Angie Chau is a writer born in Saigon, Vietnam, whose new collection of short stories, Quiet as They Come, describes the difficult existence of Vietnamese immigrants caught between two cultures. She's been called 'an astonishing literary talent.'" "Chau, who was born in Vietnam and moved to San Francisco when she was 4, based her first book in part on her own experiences: Quiet as They Come is a collection of short stories involving 12 Vietnamese immigrants sharing a house in the Sunset." "Some reassurance may be had from Angie Chau, a young writer still willing to keep collective memories from fading. She was born in Saigon, but now lives in the Bay Area. As you might expect, she has stories." "Angie Chau's Quiet as They Come is a luminous debut. It compels in the quiet force of family dramas tinged with transnational traumas." Interview with Sedge Thomson on the nationally syndicated NPR show West Coast Live. "The linked stories in Angie Chau's darkly sparkling debut, Quiet as They Come, focus on Vietnamese families who fled the war and settled in San Francisco. In 'The Pussycats,' a schoolgirl must bring something special from home to her class. Her mother's response captures the perennial push-pull of immigrant life: 'In Vietnam, this was called bragging. In America, it was called Show and Tell.'" "Her selection this season is Angie Chau's Quiet as They Come. Not only did Yamazaki tell her, 'Let's make this one work,' but Consortium Book Sales & Distribution included it in its inaugural rep picks program." Interview with Rusty Barnes, editor of Night Train Magazine.